Shock result as bishops fail to win the day. The world of board games was rocked to its foundations earlier this week when a small number of Pawns used the actual rules of chess to win a game. 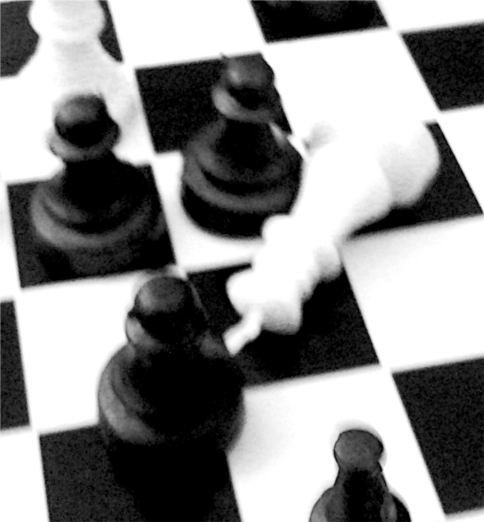 The Pawns, wearing their distinctive black team kit turned the entire game around in a series of surprise moves at the end of what had been a gruelling and sometimes tedious game, characterised by the same moves being repeated in increasingly short bursts under the watchful eye of the referee, Dr. Saint-Emu. Despite white having captured over 72% of black’s pieces, the small group of black Pawns prevailed when they captured the white Bishops and forced checkmate within the final moves of the match.